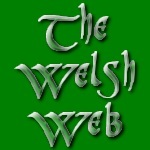 Welcome to the website of The Welsh Web. We are a web design and hosting company based in Mold, North Wales. We specialise in designing and hosting websites for small to medium sized businesses and also in promoting them. A unique way we can promote websites designed by The Welsh Web is through our community website. We believe in providing cost-effective internet services to businesses, we won't leave you stranded with a website, we provide support to our customers. Our web design and hosting packages start from £70 a year.